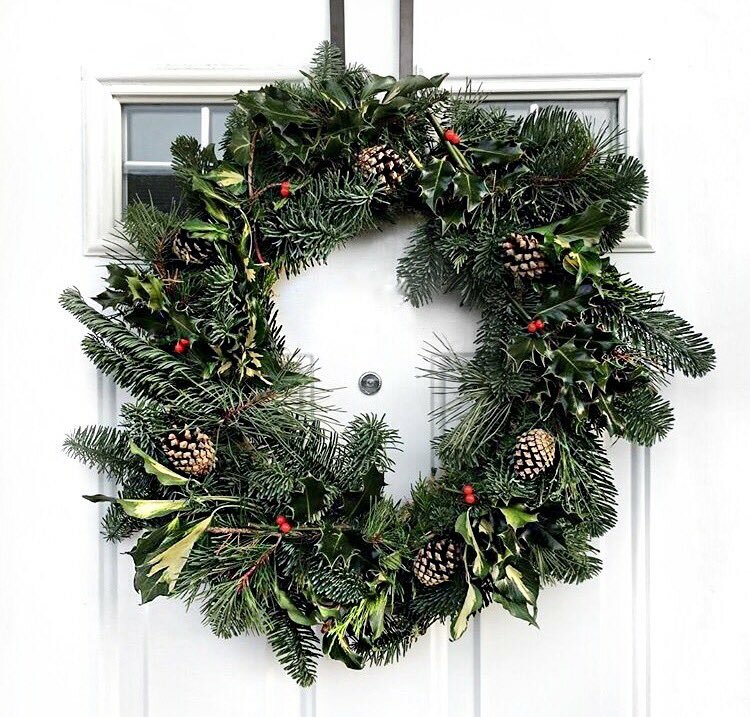 It's the penultimate day for last minute orders and if, like some people *cough* my boyfriend... you've left it just a little late then this gift guide for very, very last minute purchases is right up your street! It's never too late to find the perfect present and thanks to the wonders of the internet it's never been easier to search, source and order anything and everything you fancy! I'm not ashamed to say that it's taken all of my will power not to order everything from this dreamy little edit - as it basically became a late Christmas wish list for myself mid-way though. Oops! 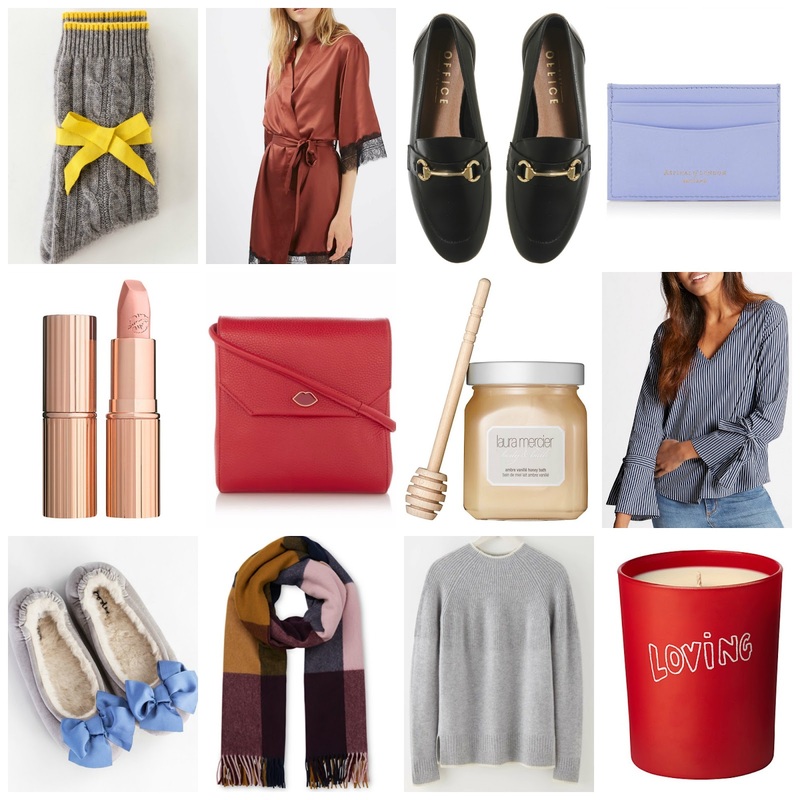 I've got the cosiest cashmere socks, the cutest card holder, cosiest slippers and the must have lipstick (that's finally back in stock!) so shop buy and enjoy!! So I popped home last weekend to watch my little sister sing in her carol concert and put up the tree with my family and I haven’t been able to stop humming along to ‘It’s the most wonderful time of the year…’ since. Fragrances are a perfect, timeless Christmas gift. I still remember un-boxing my first ‘grown-up’ perfume (Vera Wang’s Princess – obvs) even though it was many, (many) Christmases ago and always add one that I’ve been lusting after all year to my Christmas wish list. 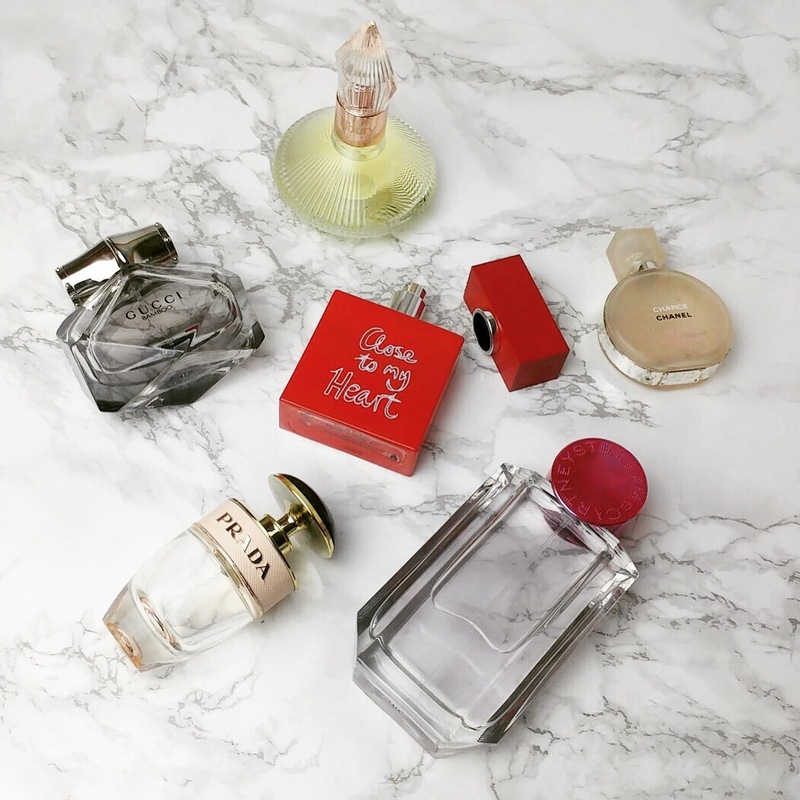 This year I’ve been pretty lucky and have accumulated a lovely little selection of fragrances well before Christmas, so I thought I’d share my six most beloved scents. Some new, and some classics - but each are sure to make a loved one very happy come Christmas Day. Bright, vibrant and totally modern Stella McCartney’s latest fragrance is fresh and fruity: with floral undertones that totally take you back to long warm summer days (and nights)! Totally reinventing the classic tuberose flower for a younger, fresher fragrance POP is vibrant yet understated. Through mixing in and combining Sandalwood and Cedarwood musks a deliciously fun fragrance is created, with top notes of tomato leaves and green mandarin, and heart notes of violet it’s a pretty punchy perfume. POP comes in the prettiest, powerful pink glass bottle with metallic branding that’s made for dressing tables (and instagram)! Fronted by Kate Moss, Charlotte Tilbury’s debut fragrance is the perfume for a party season girl. With fruity top notes of lemon and peach mixed with black pepper, and floral heart notes it’s surprisingly seductive. It doesn’t quite sit right for me to wear as an everyday option due to its flirty floral notes, but it’s such a treat to wear at night. The elegantly ornate glass bottle, reminds me of the glamorous vintage perfumes that you’d see in old movies and brings a (very welcomed) little bit of Charlotte Tilbury’s Hollywood glamour to my tiny flat. Charming, playful and available in a handy 20ml size that’ll fit in even the smallest of cross-body bags Prada’s Candy makes the sweetest of gifts. Candy’s base that warms to a gourmand, with white musk and caramel with delicate fresh Italian citrus with floral notes and a sweet pea heart it’s such a great daytime perfume. The ultimate cosy winter fragrance it makes you either want to snuggle up by the fire with your loved one, or head out on a flirty night out. It’s modern, fruity and floral without being frilly or too girly. With Tuberose Absolute at the heart, entwined with notes of Neroli, Rose de Mai and Jasmine plus Patchouli, Moss and Black Musk for deeper base notes – Close to My Heart is the most sophisticated, richly romantic offering. 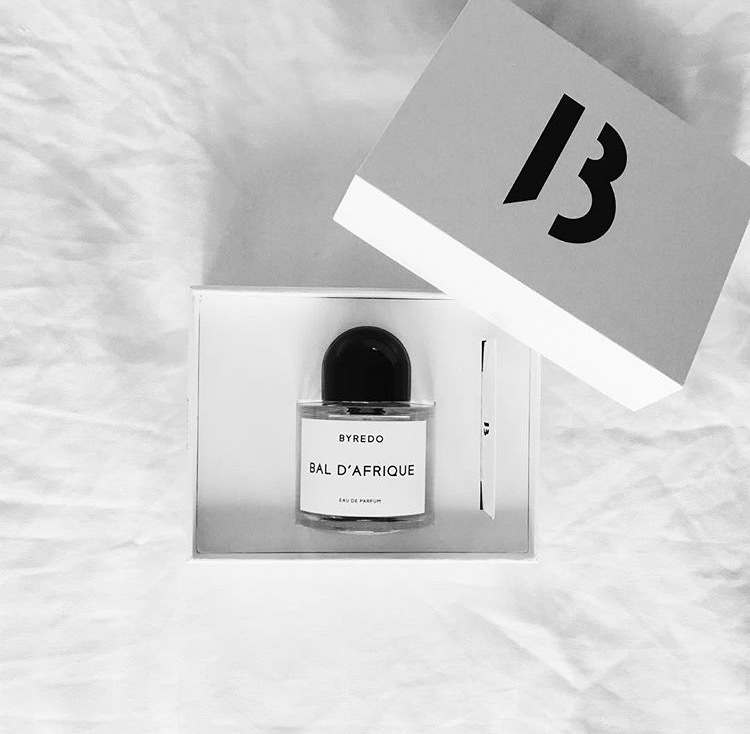 Inspired by the brands iconic bamboo bag and accessories this is the fragrance that people tend to ask me ‘what are you wearing’ most when I wear it. With a mix of Casablanca Lily, Tahitian Vanilla and Grey Amber cords Bamboo is fresh, musky and warm, with woody vibes that are rich yet feminine. Although it launched in early autumn last year it’s a light enough perfume to carry though from a bright and fun summer to a cold and dark winter. This iconic, classic fruity and floral fragrance is my ultimate go-to for an important day or exciting date night. Soft, fresh and full of fun it’s a fragrance that I can’t ever imagine leaving my perfume roster. The smoothness of White Musk mixed with soft Jasmine and fruity Grapefruit-Quine is totally dreamy – it’s a romantic, yet understated option that works easily for both day and night. 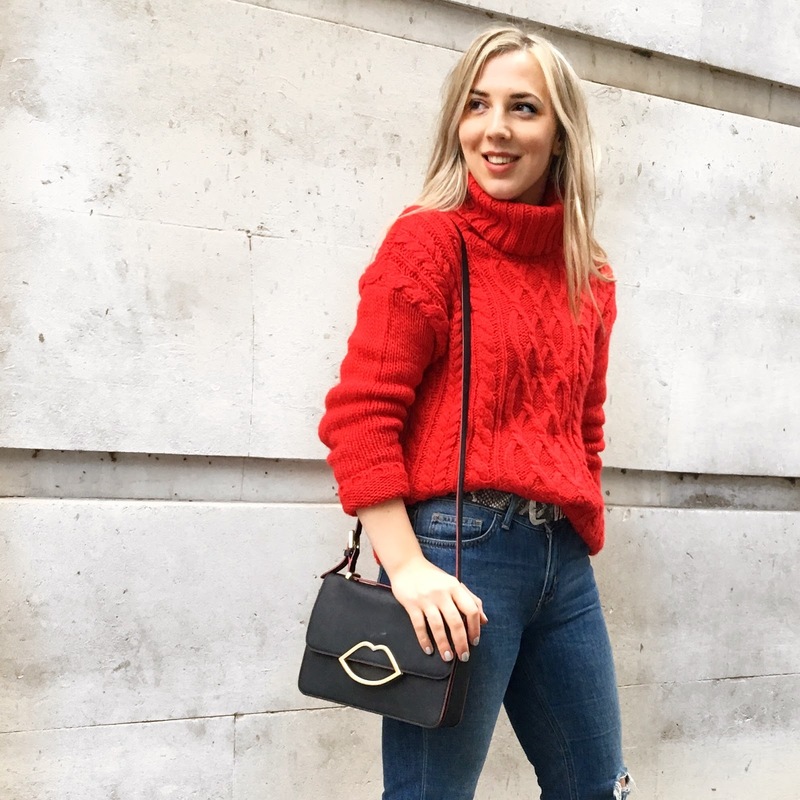 Last year I was obsessed with this understated, yet sparkly Warehouse knit but this year I’ve gone for a bolder and brighter option (as you can tell…). Those of you who’ve already seen my December Primark Haul (full of the most festive festivities) will already be familiar with this fun little Christmas Jumper. An already bold intarsia knit, complete with candy cane heart and velcro tab which you can (of course!) personalise with multi-coloured letters and hashtags. What more could you possibly want from a jumper!? 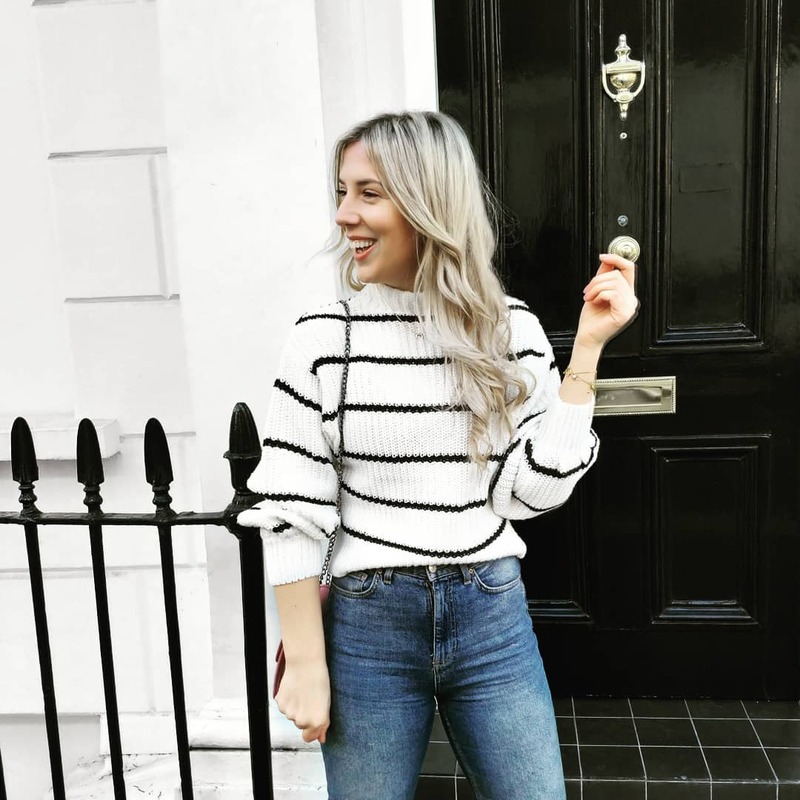 Whether you’re into a more traditional Fair Isle knit, or prefer your Christmas jumper to be adorned with bells, whistles, puddings, gingerbread houses and candy cane’s there’s literally something for everyone in my little edit. 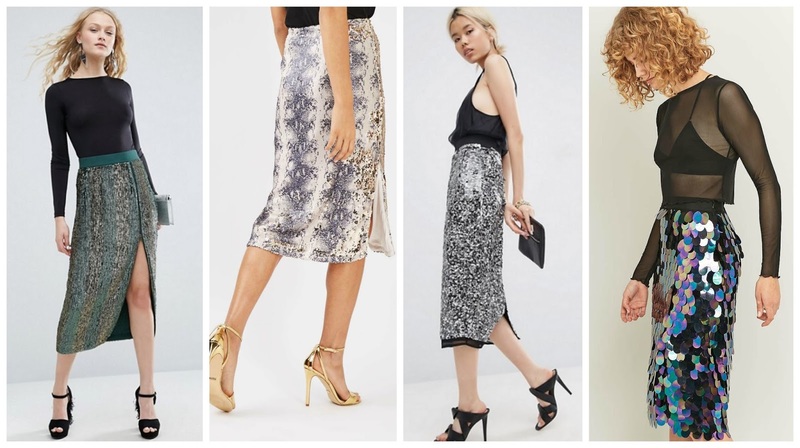 I’ve rounded up an assortment of the most fun, and reasonably priced, options on the high street. Even if you only chuck yours on for Christmas Jumper Day or, wear one each and every day in the lead up to Christmas Day there’s an option for all and every occasion. If you opt for an all-out style, with flashing Christmas tree bulbs and singing Santa’s, keep the rest of your look quite paired back. 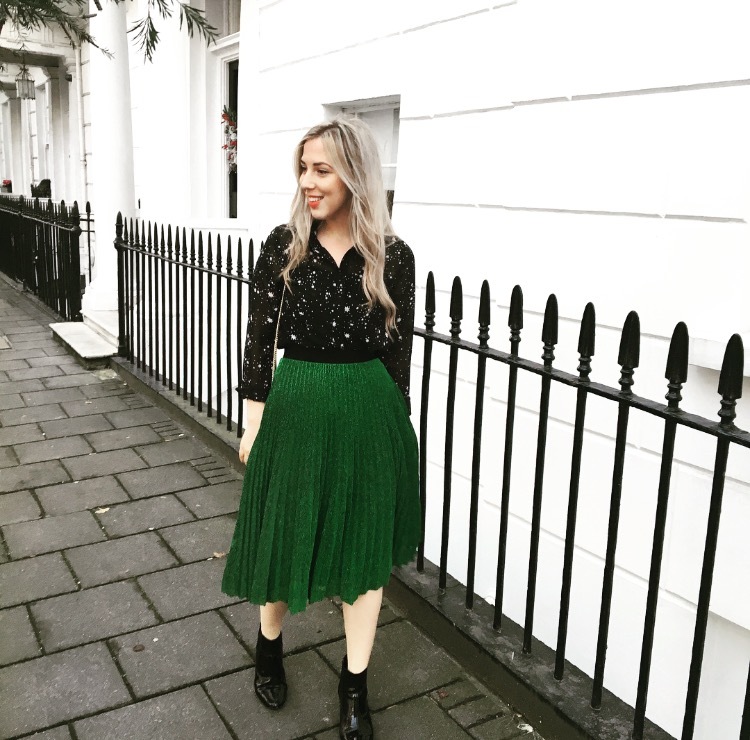 Last year I wore a sequined bauble style Christmas Jumper over a white shirt with jeans and ankle boots and I’m probably going to opt for the same this winter – classic and fuss-free it’s a way of committing to Christmas cheer without going too OTT. 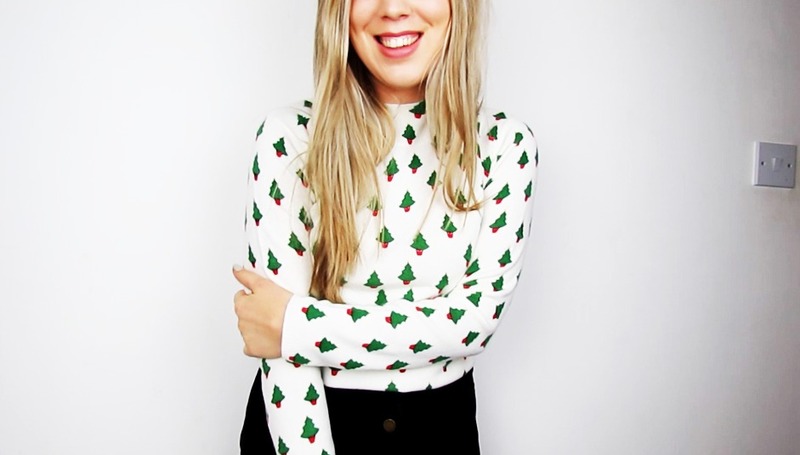 I’ll be wearing this fun knit to work on Friday, layered over a white shirt with mid-wash jeans and tonal accessories to fully embrace the festive fun that a merry Christmas Jumper brings. So as those of you who have been reading my little blog for a while will have noticed, I have a real ankle boot problem. 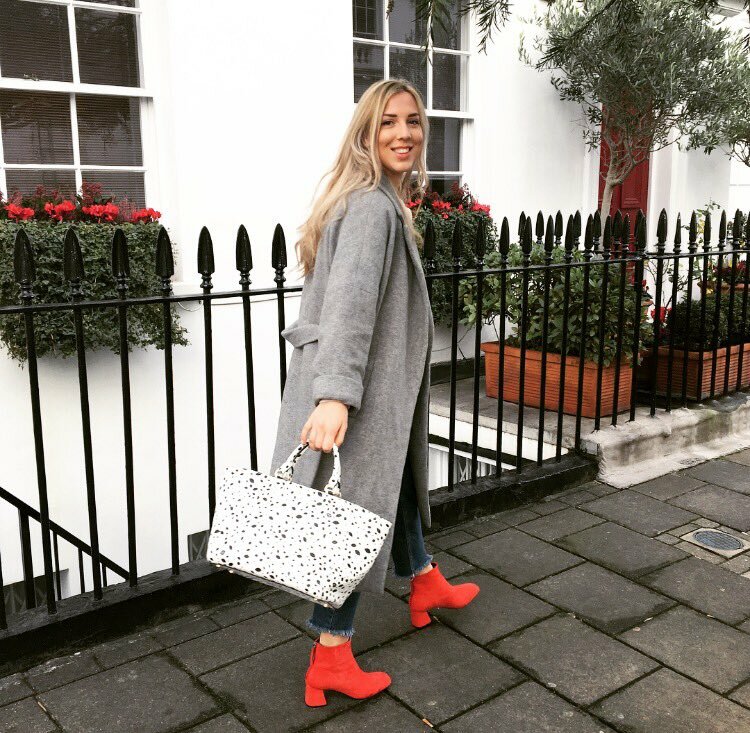 I just love a block heeled boot - especially this season's red-hot red styles. Up to this year I've exclusively only opted for classic black styles to keep my cost-per-wear as low as possible. 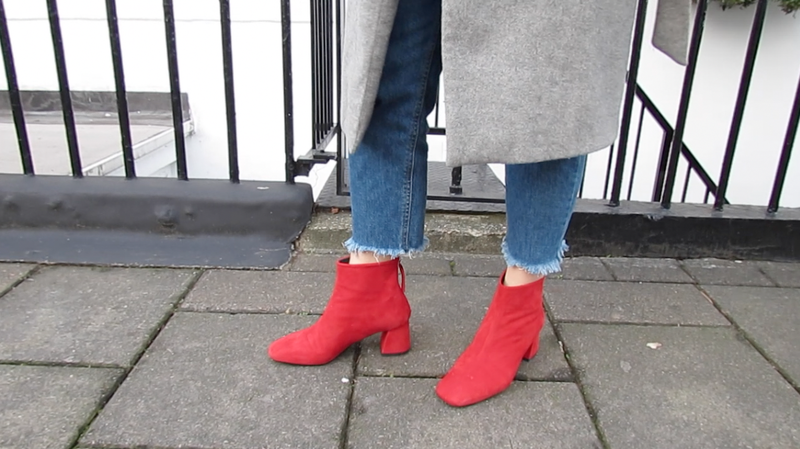 However, since majorly falling for Office's White 'Jazz Hands' ankle boots (now on sale, here) back at the start of the year I've fully embraced bright, statement styles - even dedicating a post to my fave styles for spring. No longer restricting myself to black options was one thing but wearing a vibrant red style was a whole other thing. I know I'm a little late to the party, as I was unsure how I'd introduce them into my weekday/weekend wardrobe, but I'm glad I finally joined it. Like everyone else on insta I'd seen everyone (and their mothers) in red boots and by the end of yet another week of scrolling through 'red boots on influencers' I crumbled and purchased the most festive of styles. 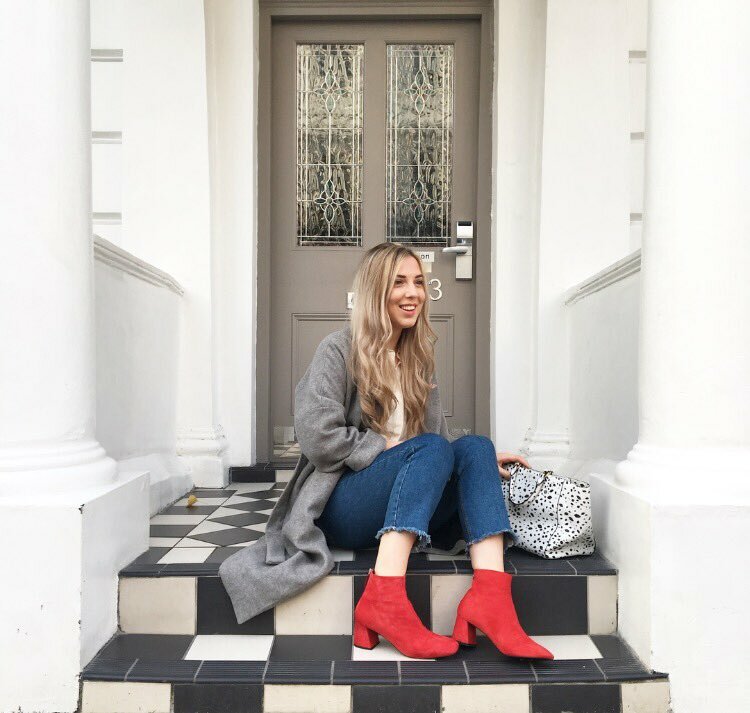 Vibrant, rich and red with a 'flared block heel' the Maggie style is a total dream and I have both the blush pink and black suede styles very firmly on my Christmas wish list. It's as though they were made to elevate effortless everyday outfits - making a simple jumper, jeans and coat look so much more. Soz this is a little late going up, it's been a rather mad old week. 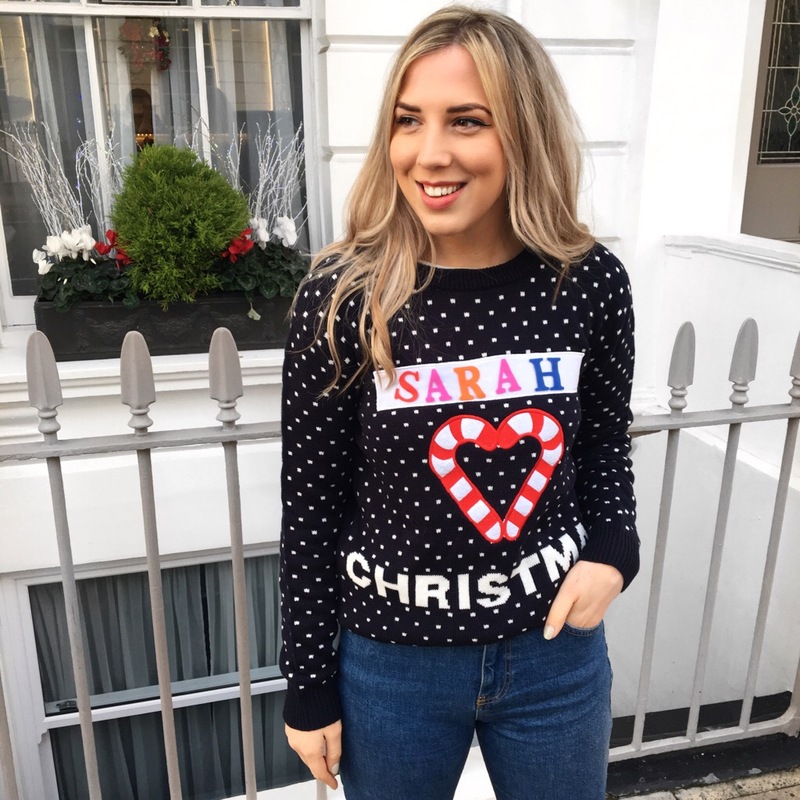 I took a little trip to the new Primark on Tottenham Court Road to stock up on all things festive - expect party wear, wrapping paper and (of course) Primark's iconic Christmas jumpers! 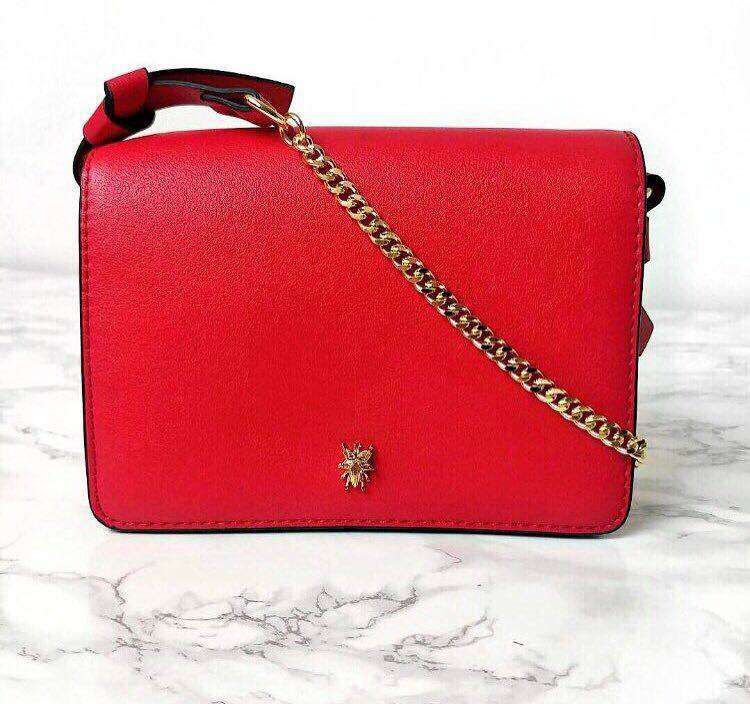 As an early little Christmas treat I'm giving away a lovely little red bag, watch my haul below to see how you can win! The fabric of the festive season, velvet made a huge impact on the AW16 catwalks. No longer restricted to dark, but rich, romantic shades bright hues were a huge talking point. Vibrant shades of velvet were used in everything from boots to bags. 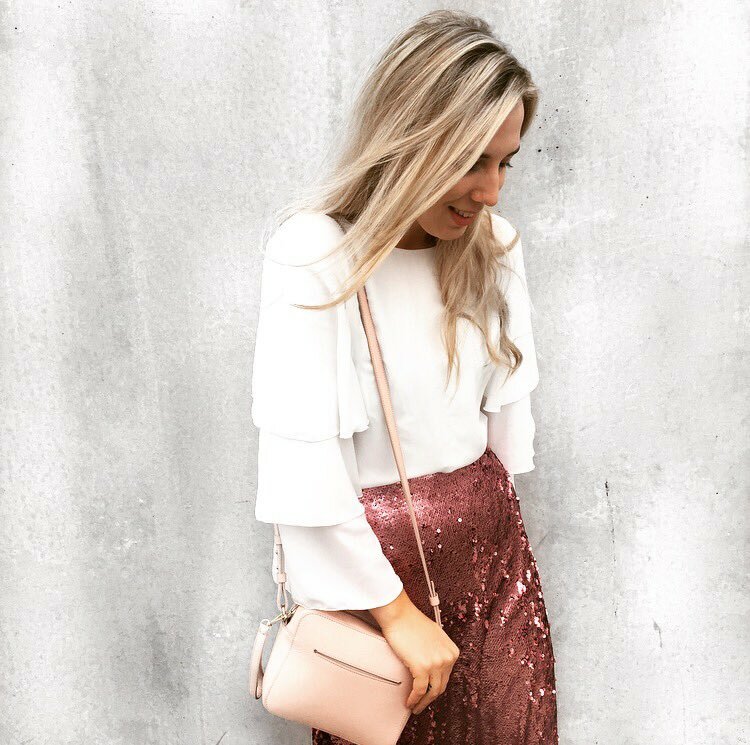 Those of you who've been reading my blog for a little while now will know of my absolute love for all things velvet, including the most amazing Asos top which combines plush pink velvet with ruffles and frills - absolute heaven. 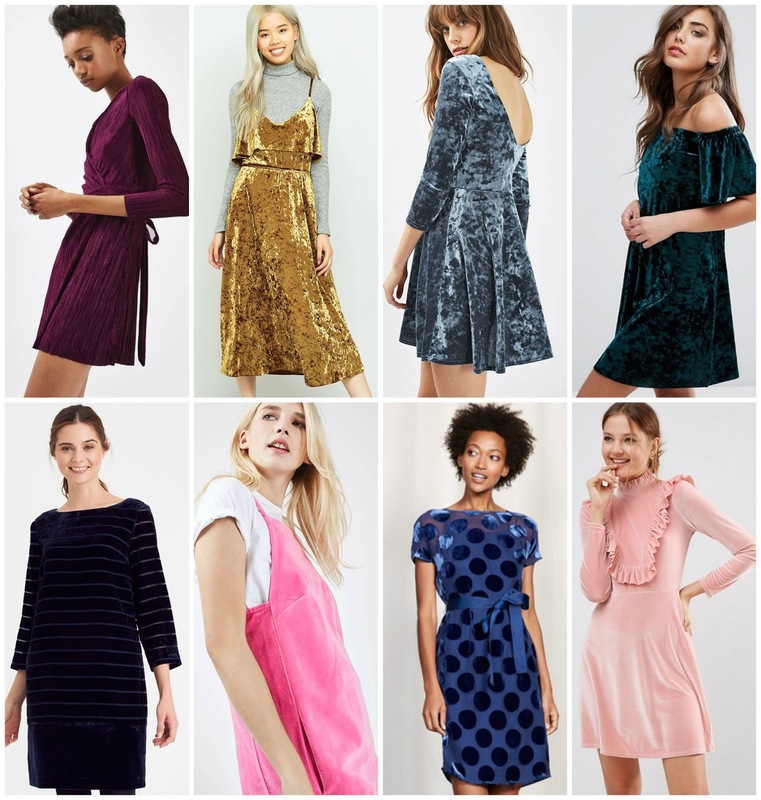 With Valentino’s dreamy dress becoming a huge inspiration for the high street with everywhere from Urban Outfitters to trusty old M&S created affordable, yet luxe options of their original velvet style. 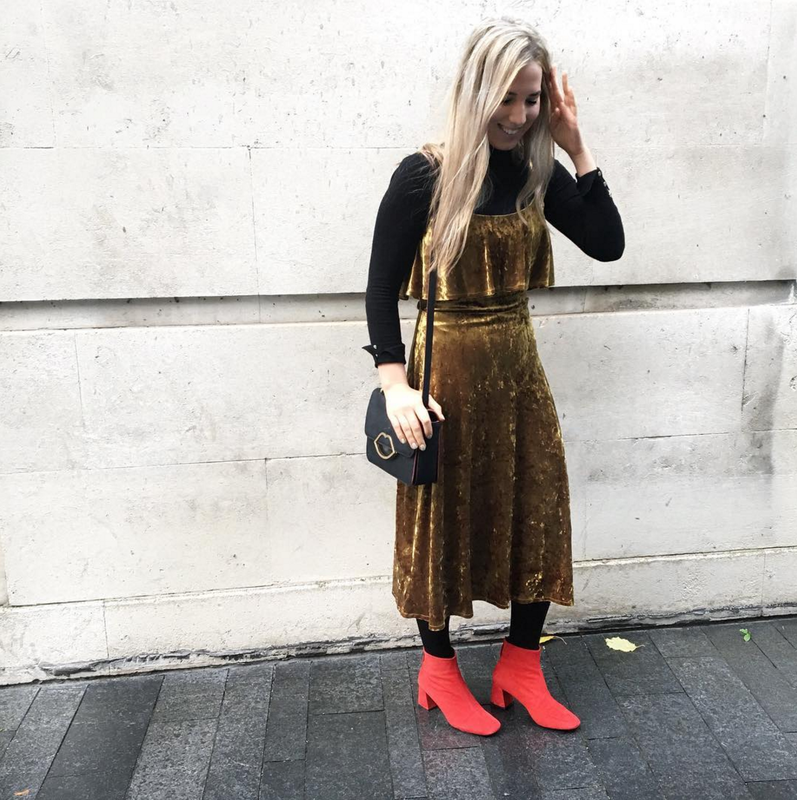 Suitable for both day and night a classic velvet dress gives you endless styling options. Reference the Valentino show styling by wearing your velvet dress over a rollneck for the office, removing the knit for night time. 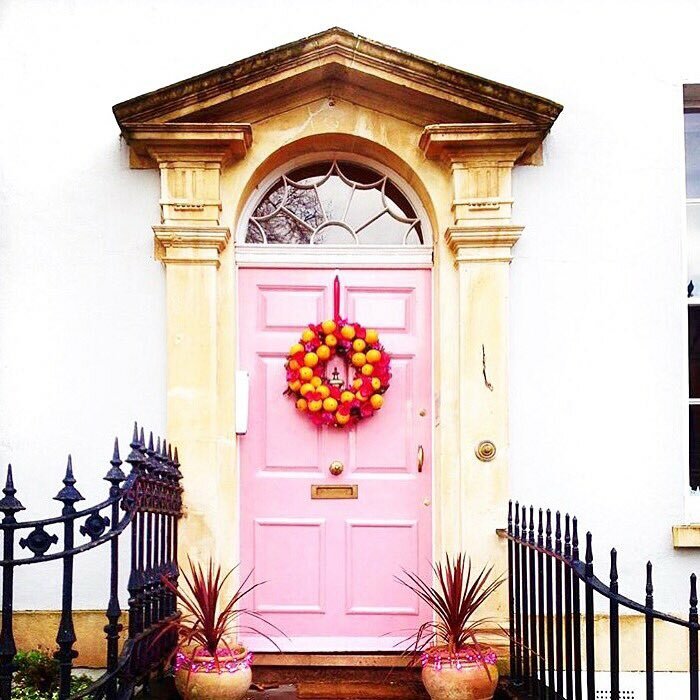 So December’s actually here, bringing with it all of the tinsel trimmings, sequins and glitz that I love! 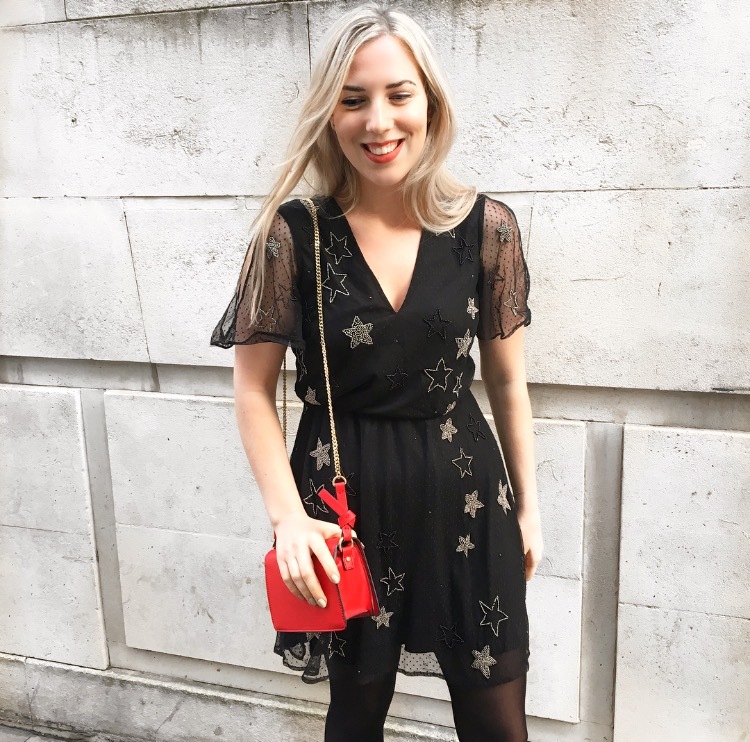 The all-out glitter and glam of sequin dresses, can often feel a little bit too much when worn on the wrong side of November, but instantly feel festive and fun once December arrives. 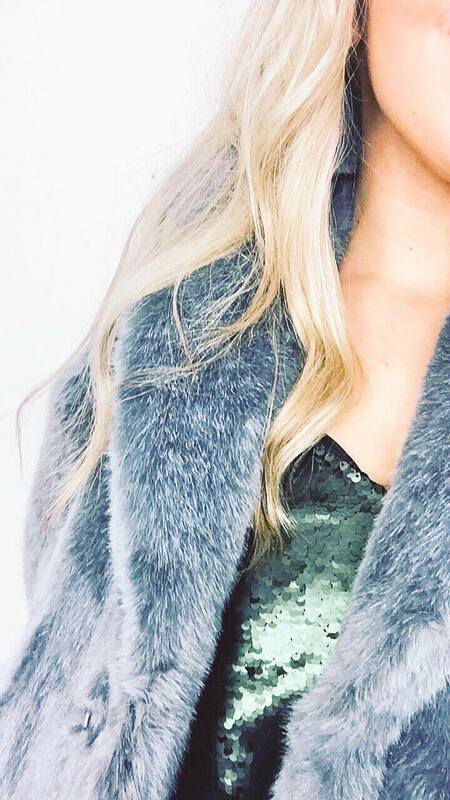 I filmed a little winter occasionwear lookbook for my YouTube channel (come say hi!) where you can see this lovely glitzy style in all of it's glory! 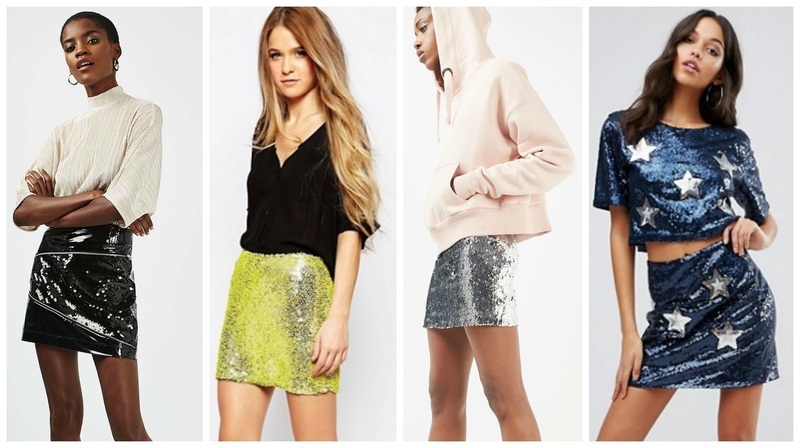 A lovely way to add a little sparkle to your everyday look, sequins can really lift any outfit. 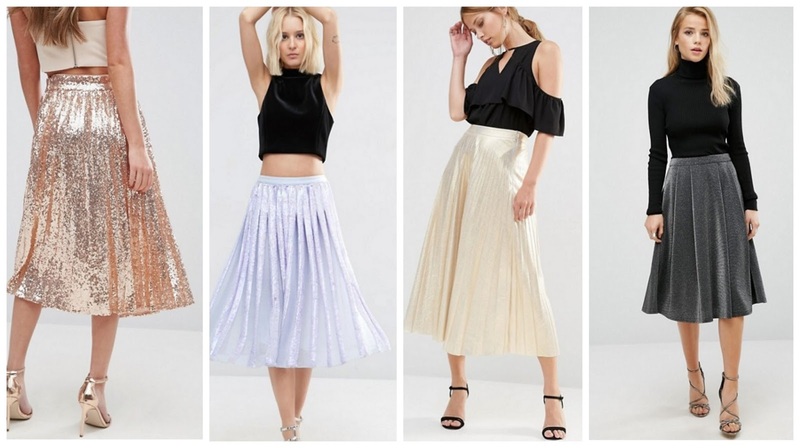 No longer restricted to nights out, sequins work so well alongside classic staples. Simple options like adding an embellished roll-neck to jeans and ankle boots, or teaming a sequin skirt with a chunky roll-neck knit are easy ways to introduce night time glam to daytime outfits. 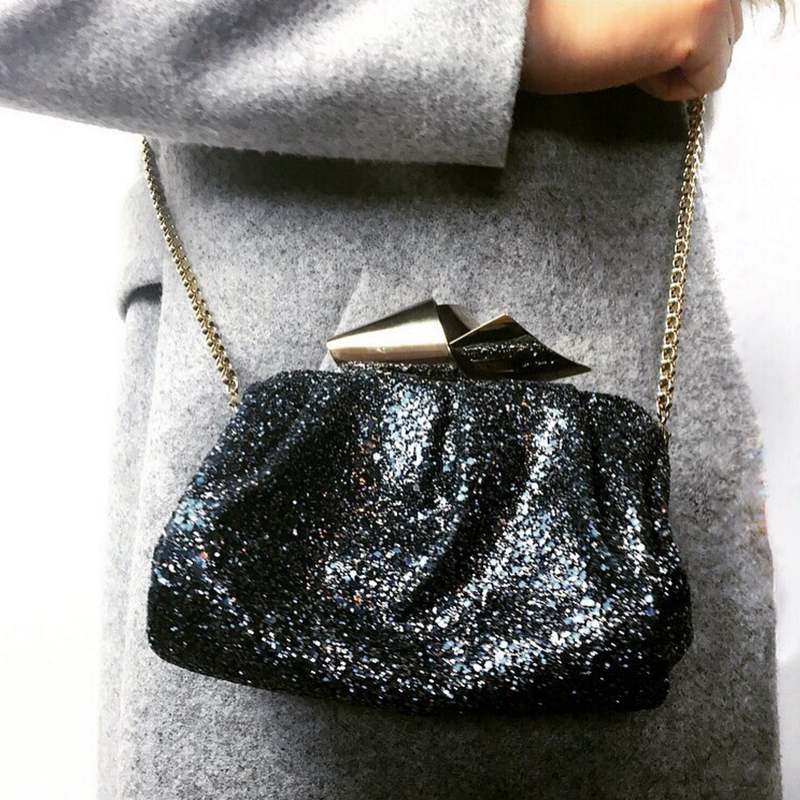 Sequin dresses are the ultimate versatile piece, giving you the option to layer under knits, or over roll-necks – giving you a great cost-per-wear ratio and letting you go from desk-to-dinner with utter ease. Somehow December is less than two days away... I don't really know how it's happened. I know I keep saying it but 2016 has truly been the quickest year of my life. It has absolutely flown by and I honestly can't get my head around it. With the countdown to Christmas officially starting very, very shortly I thought I'd share a few of my favourite advent calendar's with you gals. The days when Christmas advent calendars were, at best, 25 small pieces of Cadbury’s chocolate hidden behind a sweet reindeer print are a long way off. 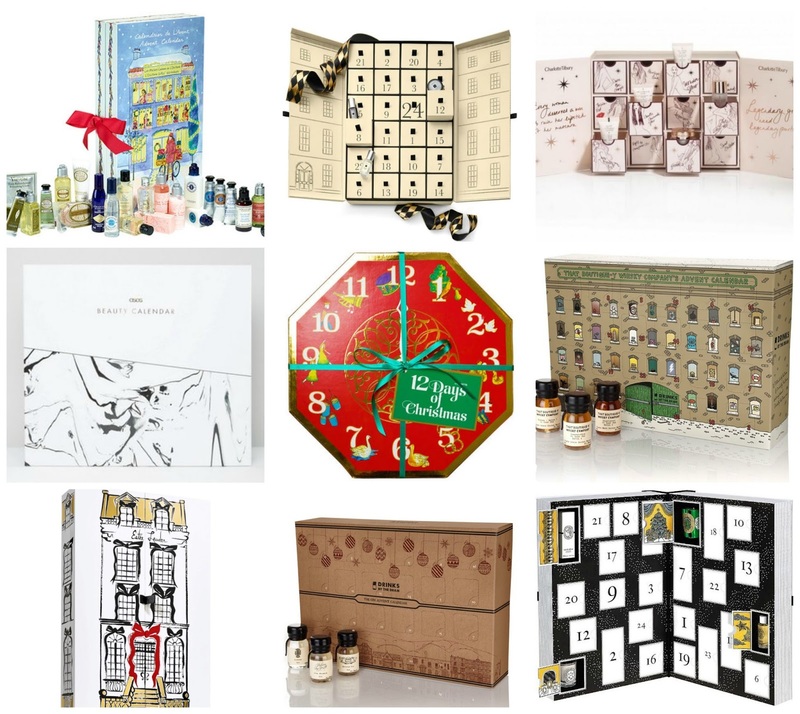 Times have changed and you can now count down the days till Christmas with calendars filled with everything from candles, to gin, jewellery and an absolutely endless array of beauty options. It’s a pretty fun way to gift a loved one 25 presents ahead of Christmas day and I thought I’d share a few of my favourites with you!